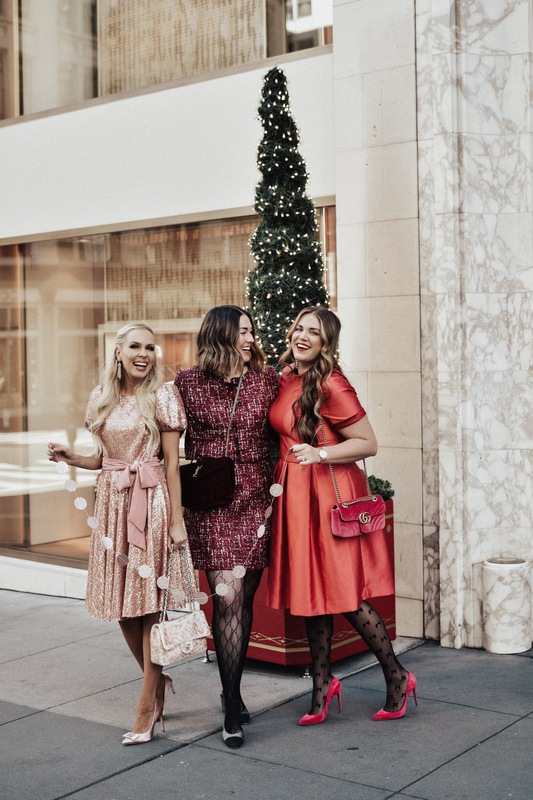 Holiday dressing is 100 times more fun when you include your best girlfriends and ESPECIALLY when you’re all wearing the same designer. 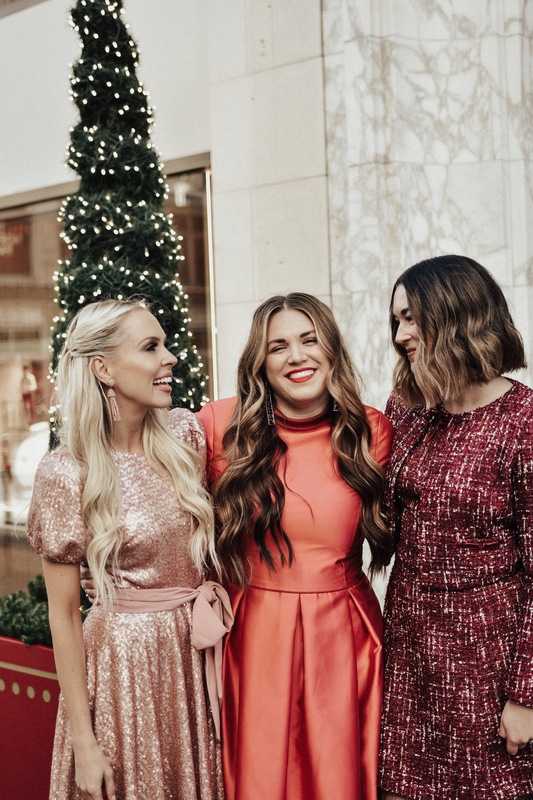 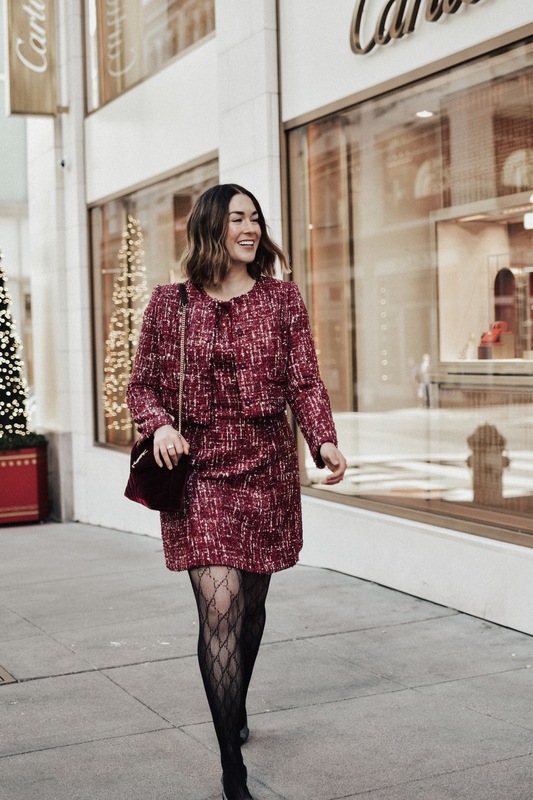 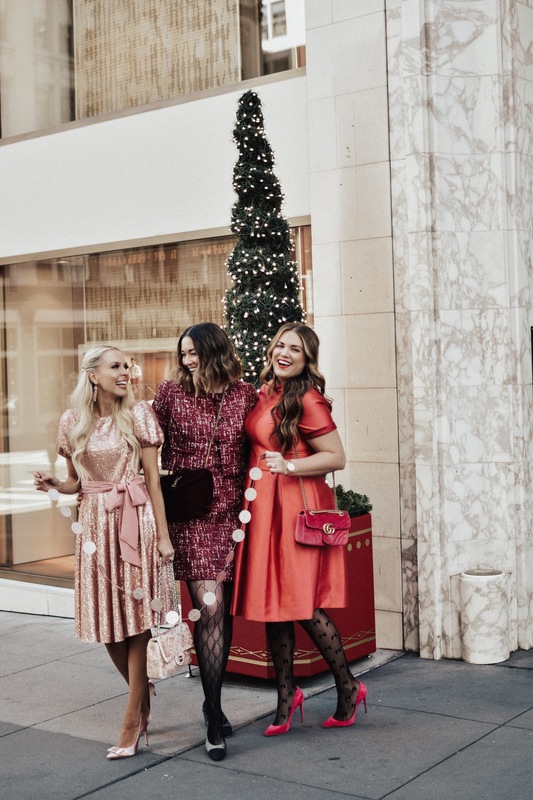 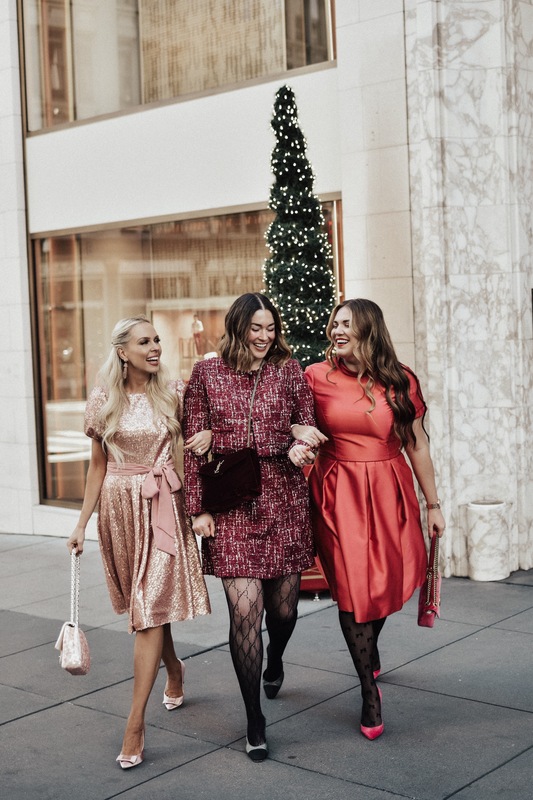 Sarah, Veronica, and I have watched Julia Engel of Gal Meets Glam create an empire that all started from her blog and it has been incredible to watch her growing success. 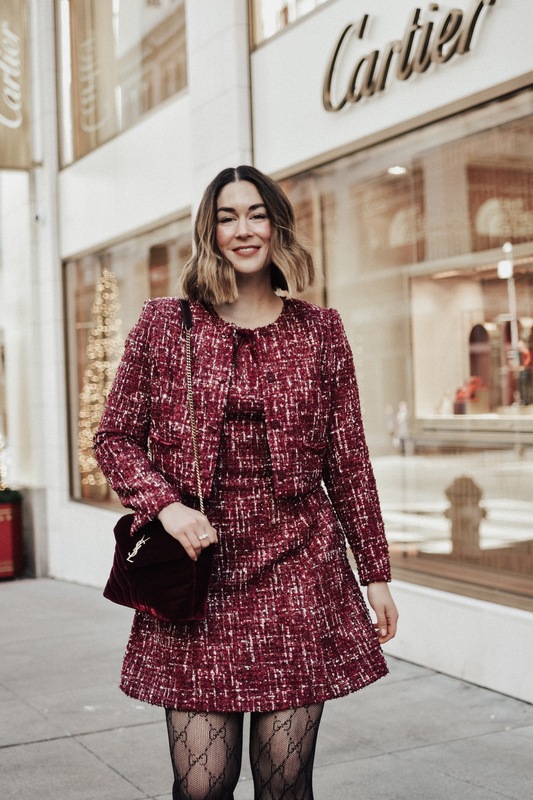 One of those major milestone moments was when Julia designed her own dress line to reflect her sense of style and her key eye for detailed but never overdone looks to compliment all body types. 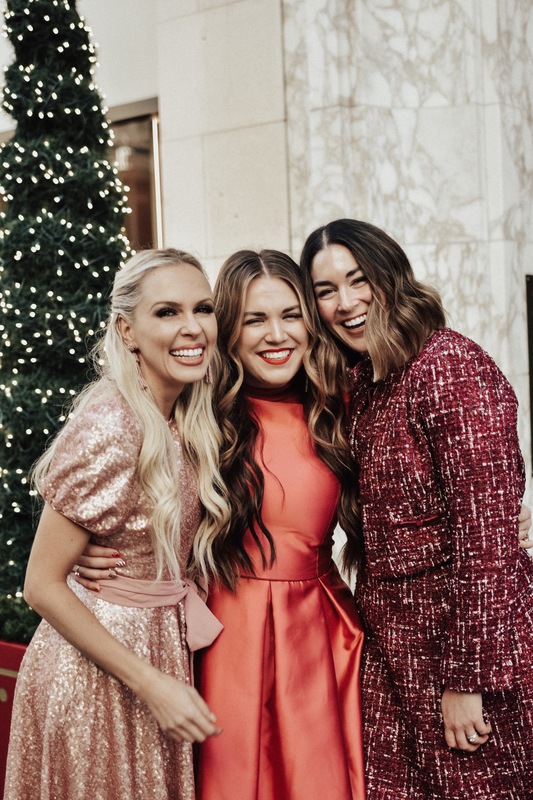 I loved that her dresses are named to reflect the important women in her life (women supporting women is something I can always get behind!) 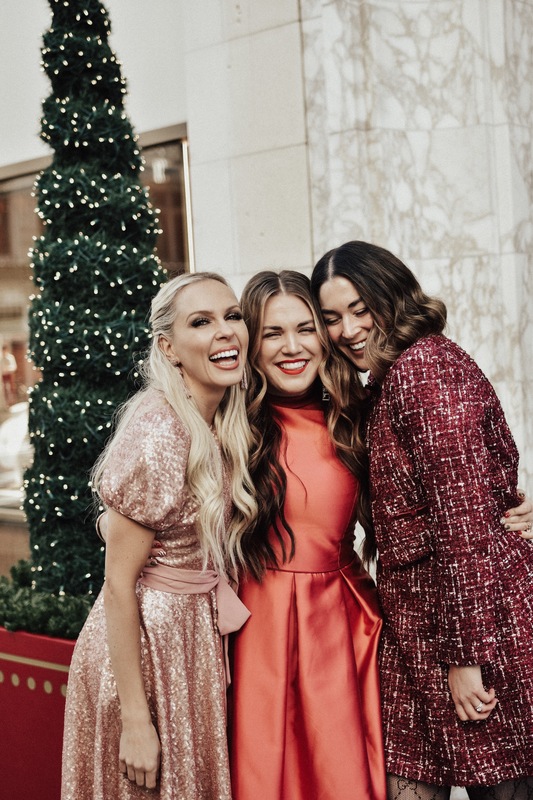 so I couldn’t think of two better women to share this blog post with today than my besties, Veronica and Sarah. 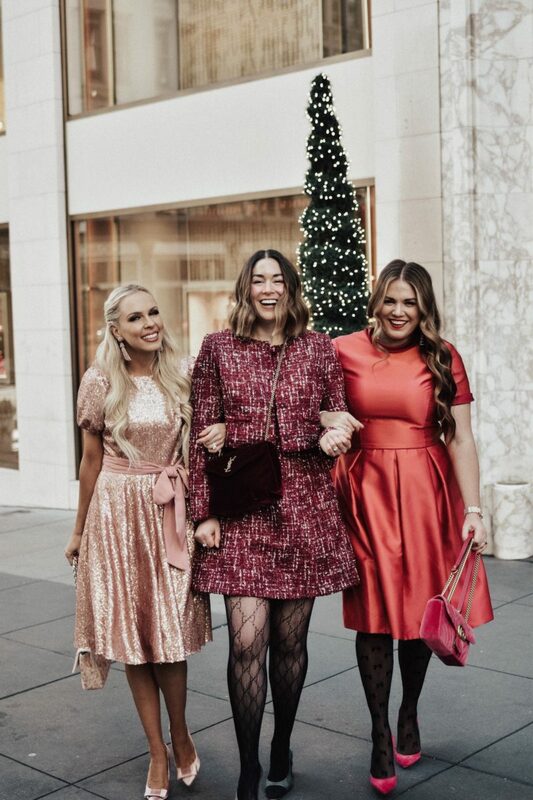 In addition to our very honest, open, and supportive friendship, I love how we each have our own personal style that shines through each time we are together. 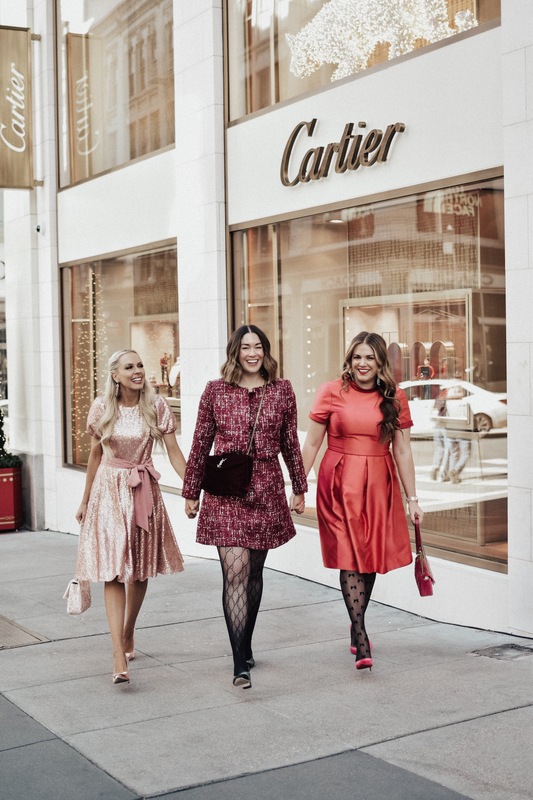 Honestly, it’s refreshing that we all support each other’s personal styles since the blogger can world can often look repetitive when it comes to styling outfits. 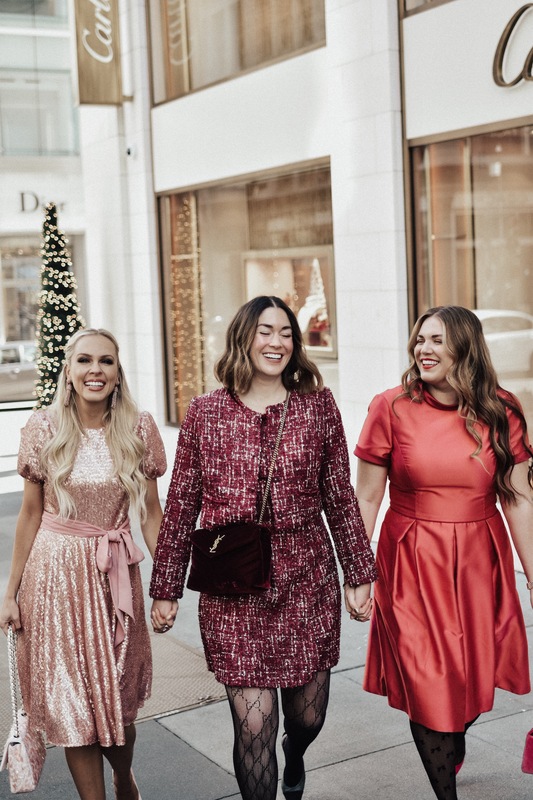 Even though we each picked a different look from the Gal Meets Glam collection to feature, each of us brings our own style and flare to our looks completely transforming a pretty dress into our own. 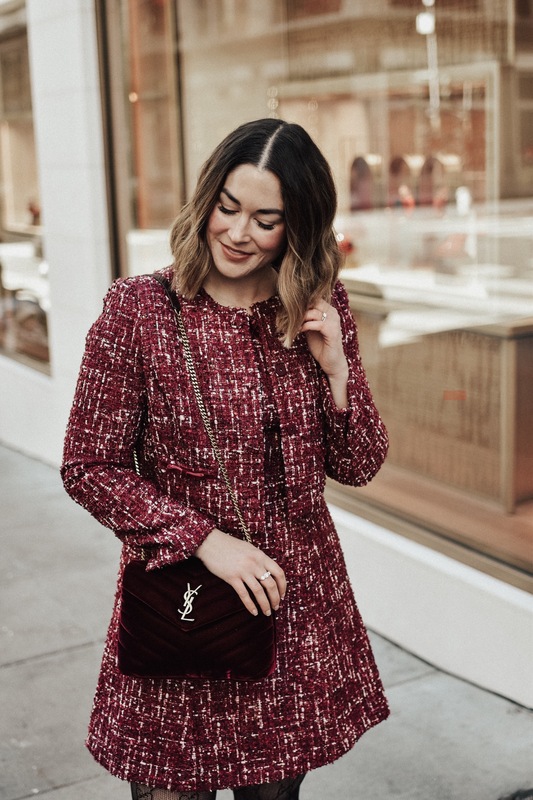 I chose this gorgeous metallic thread dress and jacket combo and I have to say, I was shocked by the incredible quality (I’m a little surprised it didn’t have a higher price point!) 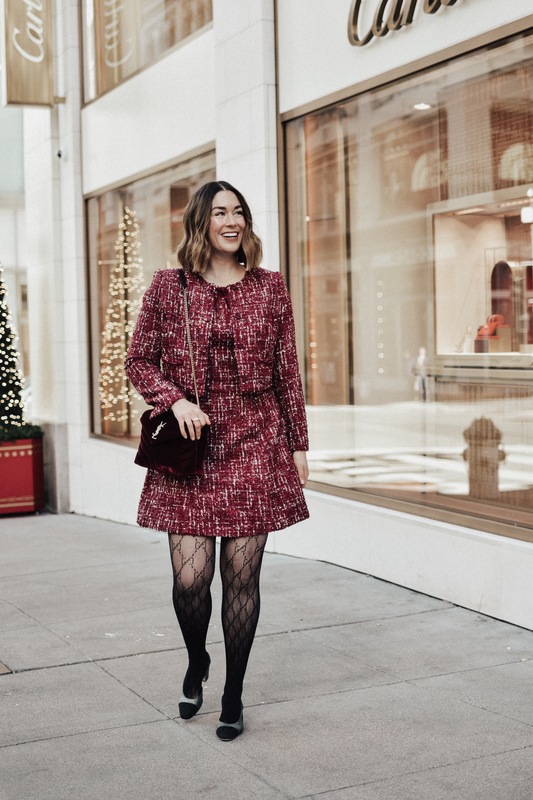 and also very pleased with the fit. 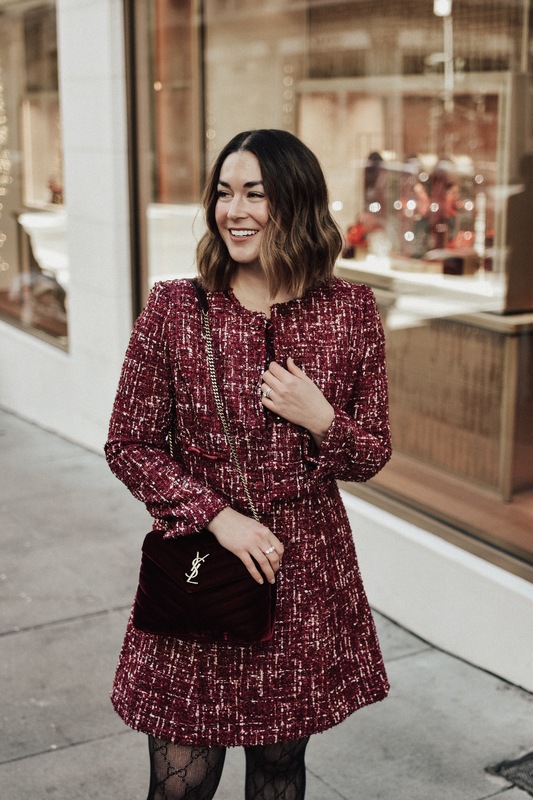 The dress and jacket both fit as if they were made special just for me, which is always a good feeling to have when you slip into something new since we have all had those experiences that were less than perfect. 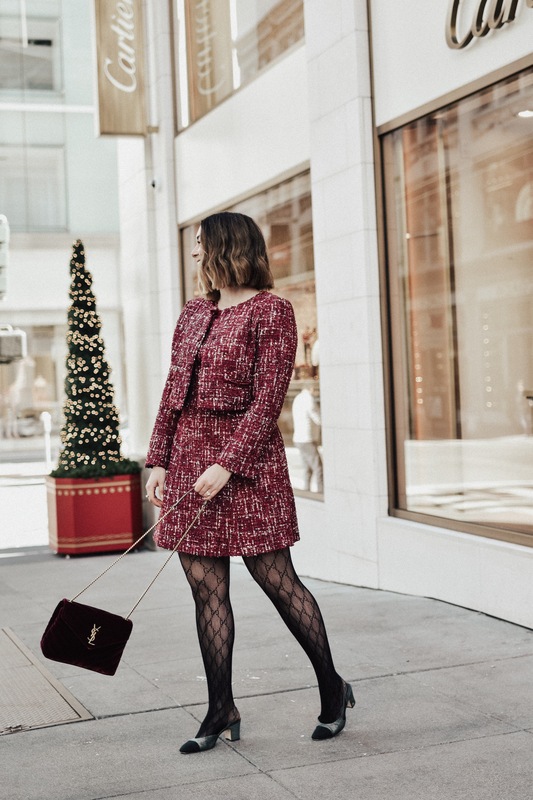 I paired my jacket and dress duo with my newfound favorite tights and my Chanel slingback for an uptown meets downtown vibe and I think it perfectly reflects my desire to be unique and edgy but also classic and feminine.